Fabulous card - great colouring and a perfect colour combo. Certainly looks warmer over there than over here! What a great card, lovely! Aww this is gorgeous Sylvie! Love that image and you've coloured it so beautifully! 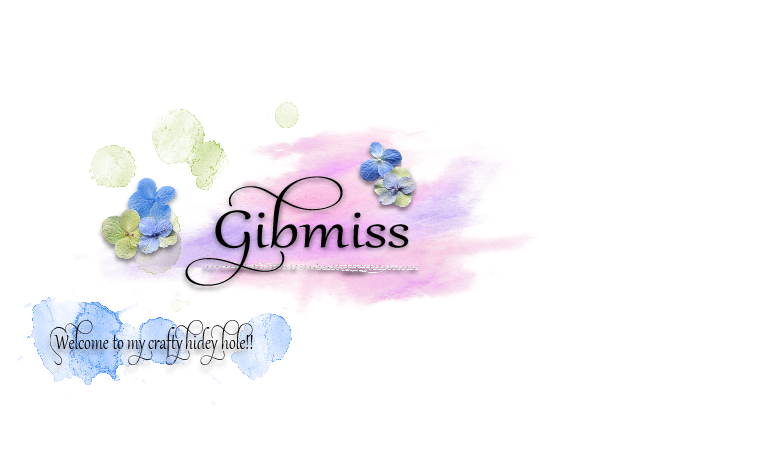 Oh my goodness, Miss Gib (lol) your work is amazing. I can hardly believe how beautifully you color! Your layouts are wonderful too but your coloring floors me! Such talent you have. Gibraltar sounds like just the place for me! We hare having a little glass sun-room put on our patio starting today because of my love of the sun. Being a California girl who is now in Oklahoma! LOL A very mild winter this year tho. I love your posts, your blog and especially your artwork. 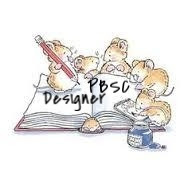 Thank you ever so much for visiting my blog and your lovely comments. Made me feel real good for you to take the time to do so. 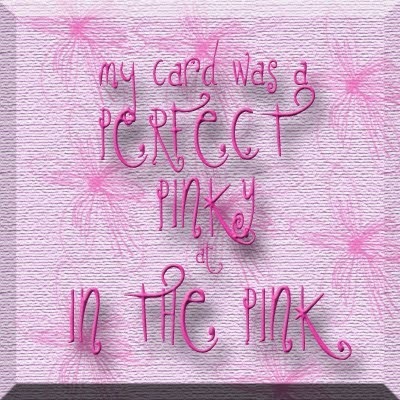 So pretty...I love the pink and your use of diecuts! A gorgeous card Sylvie - beautiful colouring and embellishments. Love the SC image and the layout. Gorgeous card Sylvie, love all the layers! And you can stop sniggering about us freezing over here:)!!! Are you coming over for the next BSS at Ally Pally? We might have some warmer weather by then! Lol, you're not sorry for rubbing it in at all! 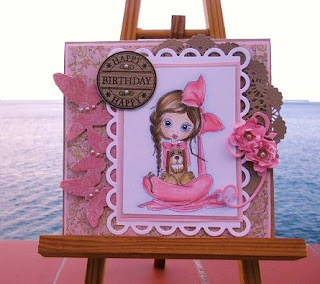 Gorgeous girly card Sylvie, the image and shades of oink are gorgeous. Blow some warm air over to us Sylvie! What a pretty card - just love the butterflies and doily! Hope your uptown girls turn up soon!! Gorgeous. This is a gorgeous image and beautifully coloured! Love the flowers and DP. The butterfly border is perfect on this card.